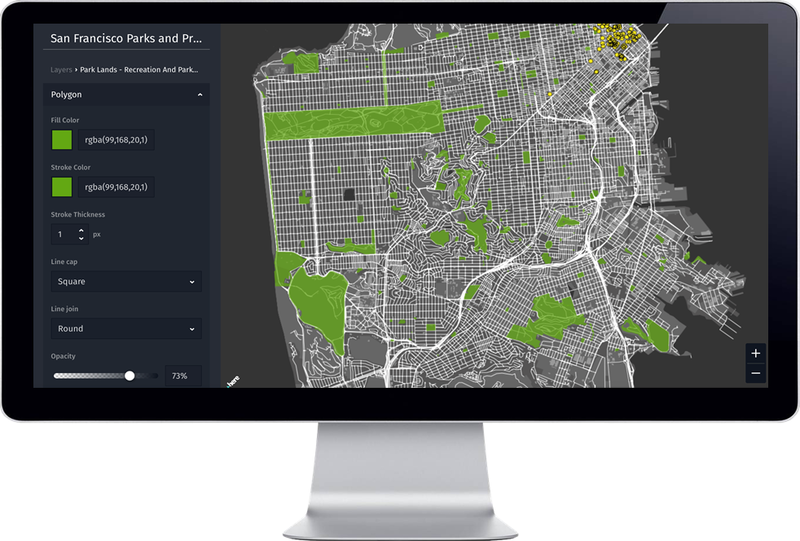 At its heart HERE XYZ is a collection of tools and APIs to enable everyone to easily manage map data and build great maps. It is built around standards like GeoJSON and designed to be open and interoperable with many other offerings. Most important of all, HERE XYZ offers real-time live interaction with location data. It's built from the ground up with productivity in mind. We have taken code and concepts used internally at HERE Technologies for years in some of the most demanding projects and want to share that with the community of developers, cartographers and enthusiasts to enable everyone to build better maps. The easiest way to get started is to have a look at easy to use the HERE XYZ Studio web application to build and publish maps. Give it a try, it's completely free and open to use for everyone - you only need a HERE Account. Have a look at our documentation for find out more about it. When you have a GeoJSON file you just want to have a look at without building a full map, check out our open GeoJSON Tool tool. It's a great way to inspect data you'd want to work with. If you are a developer and want to use our cloud services, you need an appId, which you can get for free from the HERE Developer Portal. See our getting started guide for more details. Powerful map data management and display tools that make working with map data convenient and effective. The tools are easy to understand even if you have no prior experience with geospatial, location or projections concepts. A free cloud service to store and access data for your maps with straightforward RESTful API calls and a flexible CLI. The choice is yours. It also gives you access to a wide variety of free and open datasets. UI components that make it easy to show and style data and content exactly how you want to see it. It works well with huge amounts of data and also enables rich interactive and real-time experiences.